NOW OPEN IN ELIZABETH CITY, NC!!!! Our goal is to provide excellent and unmatched surgical and general podiatry care for all your foot and ankle conditions and concerns. 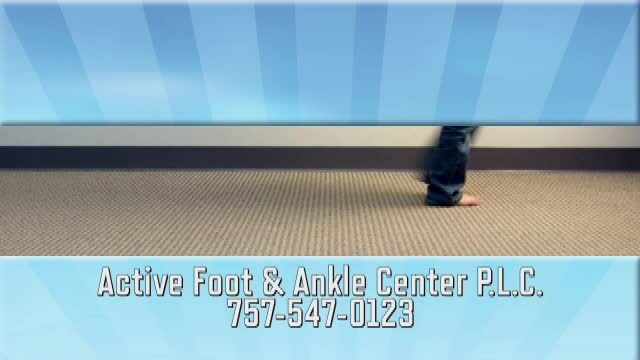 The experienced and talented doctors (podiatrists) and staff members at Active Foot and Ankle Center PLC are among the most qualified in the profession. Dr. George Evancho and Dr. Munjed Salem provide quality care for patients in Chesapeake VA and surrounding areas. Whether you have a foot or ankle emergency, have general foot and ankle pain or need routine or diabetic foot care, we're always available to help. Call us to make an appointment today! Now Accepting New Patients!! We Accept Medicare, Medicaid and Most Insurances!! © 2016 Active Foot and Ankle Center PLC . All Rights Reserved.